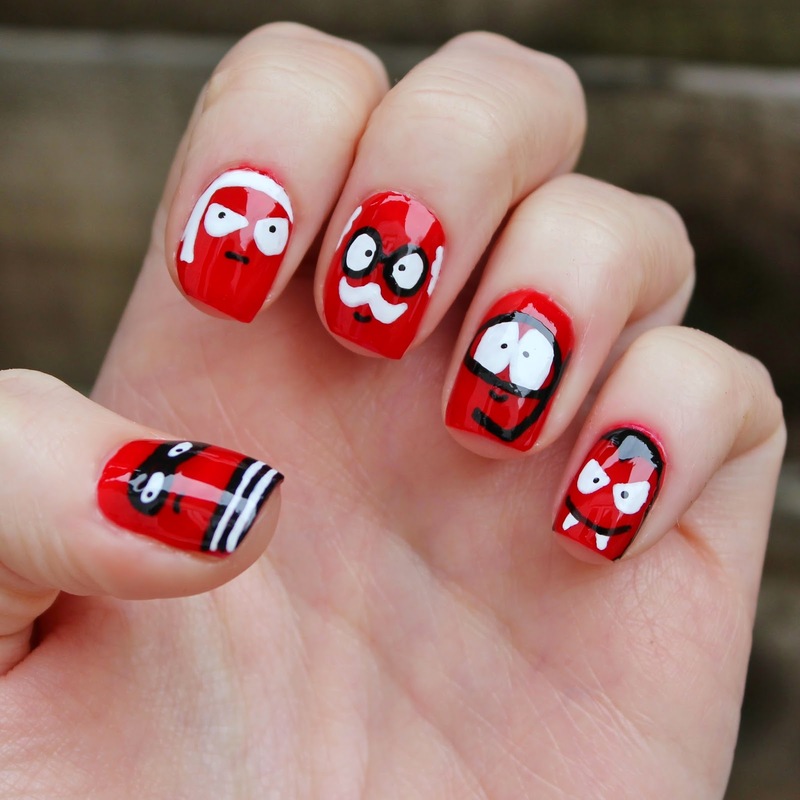 Dahlia Nails: Red Nose Day! We don't know about you but we get so excited by Red Nose Day. I think it stems from years at school where dressing up in some crazy costume with a bright red nose was a great way to break up the norm and raise money for a great cause. This as well as the amazing tv shows surrounding the event. This year we're most looking forward to The Great Comic Relief Bake Off. So exciting! This year you have an amazing NINE red noses to choose from. Which one is your fave? Jo's is the little astronaut. I am still undecided. Hence why I chose an array for my nails. 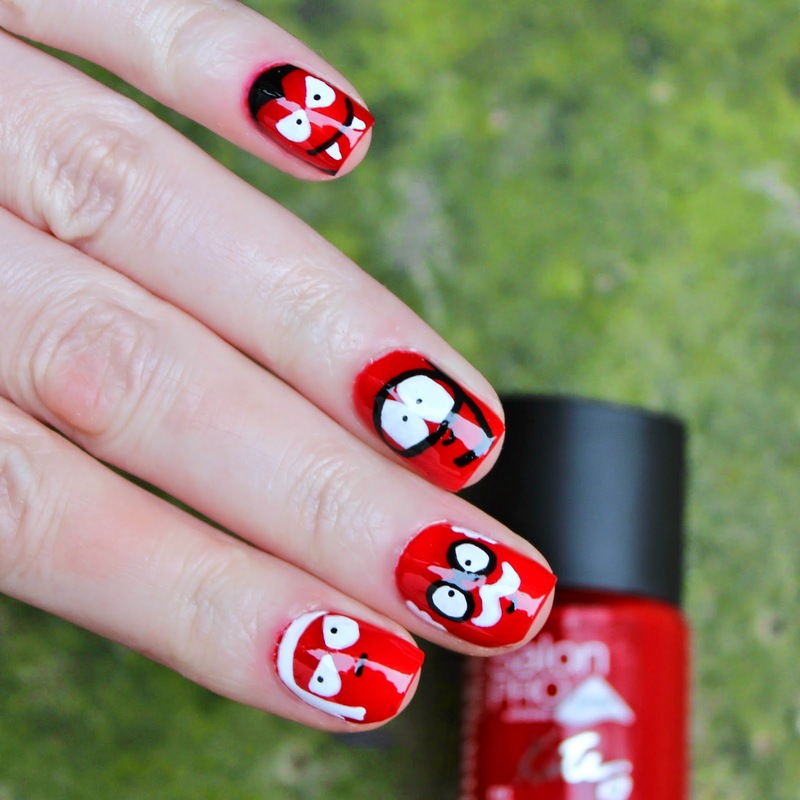 I created this look using Rimmel's Mars* polish. It is the most perfect red for this purpose, a real pillar box red. As you know I have always been a fan of the Salon Pro polishes as they are so easy to apply and have the shiniest finish. As with all reds, however, the clean up was tricky! This year Rimmel have created a limited edition of their Kate lipstick in 01 for Red Nose Day. It retails at £5.49 with £1.67 from each one sold going to the cause. I am big into red lips at the moment and 01 is one of my favourite shades. Seeing as this is for a good cause and the packaging is sooooo cute I know I won't be able to resist. I may even persuade non-lipstick wearer Jo into buying! Red Nose Day falls on 13th March this year and is such a good cause which you HAVE to get excited about. Check out the official website for more information about events and how to fundraise. You can also buy the noses or the really cool t-shirts on there. I still have an old comic relief t-shirt designed by Stella McCartney with Madonna on - they're collectors items! Let us know how you're getting involved. 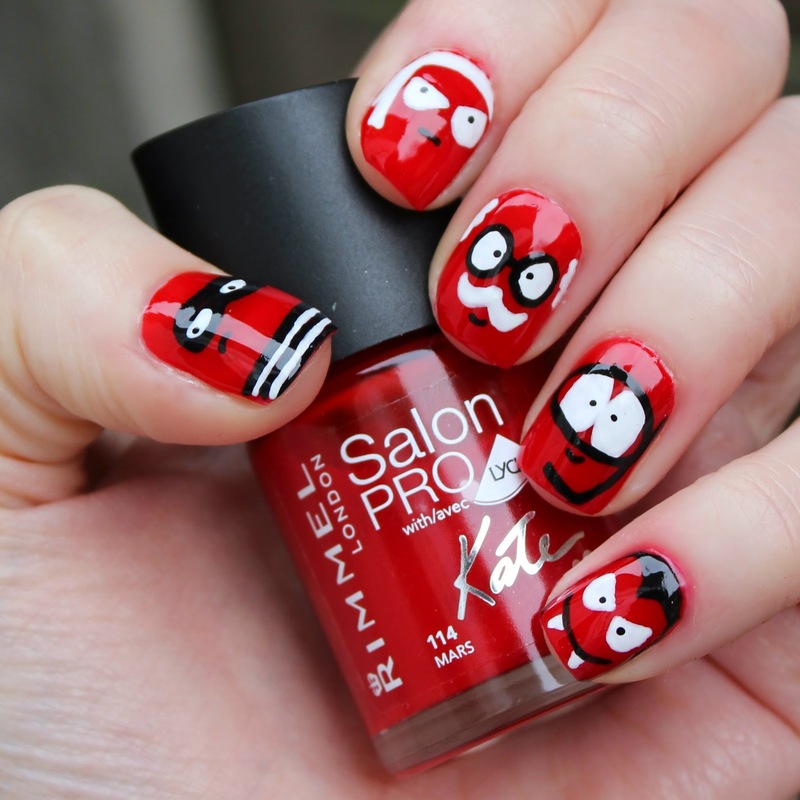 We might offer some Red Nose Day manis to our friends to raise a bit.